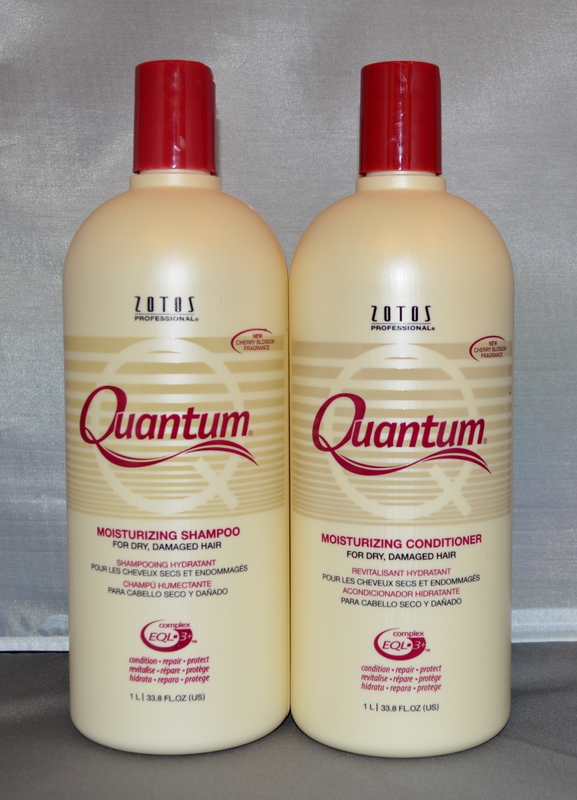 Zotos Quantum Moisturizing Conditioner, For Dry, Damaged Hair. Cherry Blossom Fragrance. Delivers shine, softness and manageability with silk proteins while adding intense moisture without weighing hair down. The restorative formula is infused with advanced EQL 3+ complex, a combination of vegetable protein, vitamin E and sweet almond extract, that helps condition, repair and protect the hair. Strands are left Strong*, healthy-looking and optimally prepped for styling. Ideal for dry, damaged or chemically-treated hair.